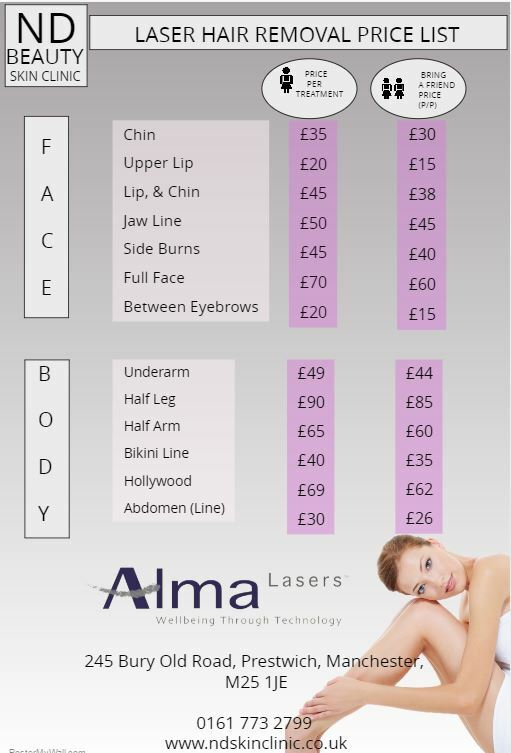 ND Skin Clinic Prestwich » ND Beauty Skin Clinic Price list.. Simply call us on 0161 773 2799 or book online. Copyright © 2013. All rights reserved. ND Skin Clinic, 245 Bury Old Road, Prestwich, M25 1JE. 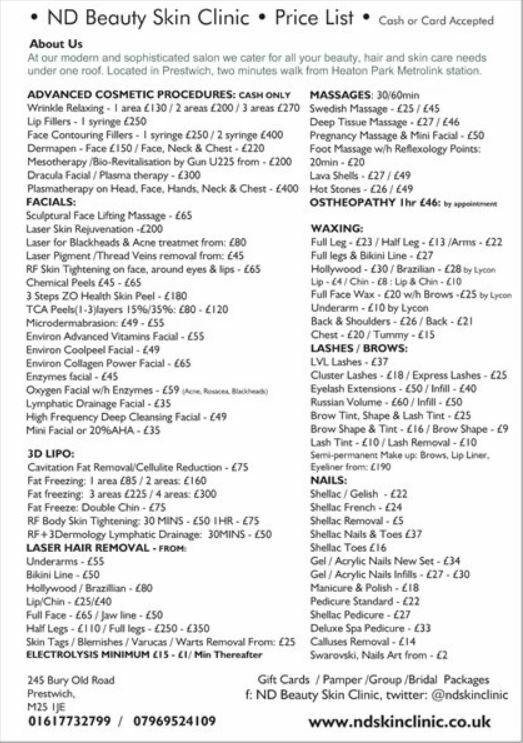 Tel 0161 773 2799.